This low dome 4.5 mm (3/16 in.) 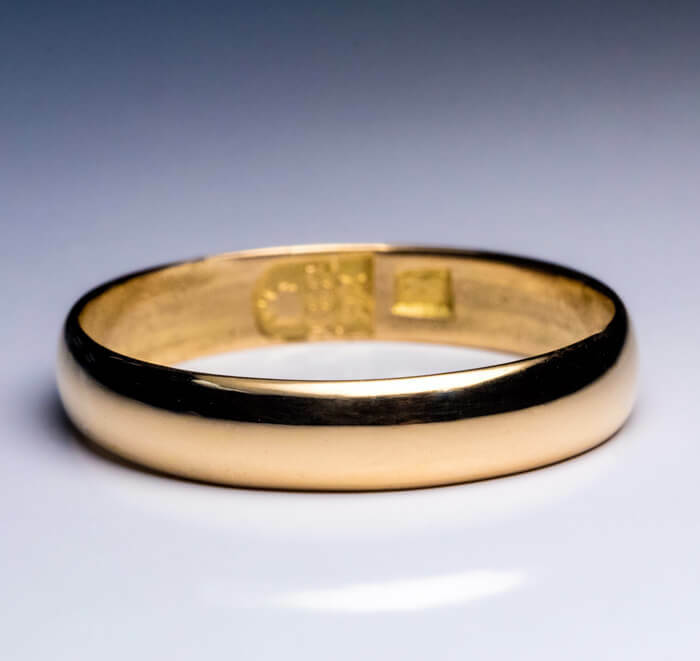 wedding band with smooth round edges was made in Moscow in 1884. 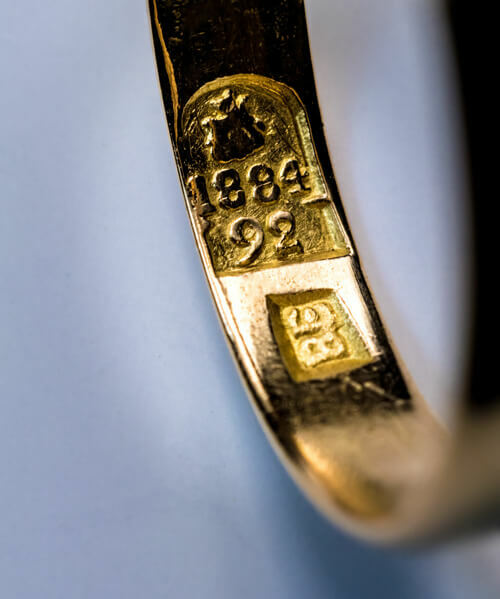 The ring is marked with 92 zolotnik Imperial gold standard (23K – 95.8% pure gold) with St. George assay symbol for Moscow, date ‘1884’, and maker’s initials ‘BE’.